It’s no secret that global giant GE has a lot at stake as metal 3D printing makes headway as an advanced manufacturing technique in such part-critical industries as aerospace. Tight tolerances in applications that don’t allow for room for error, as well as heavy investment into metal additive manufacturing, have made advances in the technology a key area of focus for GE, evidenced by last year’s acquisitions of Concept Laser and Arcam, as well as the introduction of its 3D printing-centered GE Additive business. Particularly following a weak Q3 performance for the company as a whole, advanced technologies including the industrial internet and additive manufacturing represent bright spots for focused investment at the restructuring GE. With the unveiling of the world’s largest laser-powder metal 3D printing system anticipated at formnext in just a few weeks, metal is definitely on GE’s mind — and the Additive Materials Lab at GE Global Research in Niskayuna, New York has been hard at work in advancing materials offerings and machine performance. When we checked in earlier this year, Joe Vinciquerra, Senior Principal Engineer and Additive Technology Platform Leader with GE Global Research and Manager of the Additive Materials Lab, told us more about their approach to metal additive manufacturing materials as a ‘cookbook’ of information. Research has been ongoing at the facility, and some of the latest has been working to increase performance of both machine and material with an approach of greater intelligence — artificial intelligence, at that. Machine learning is coming into play at the Additive Materials Lab as the team work to enhance the process and quality of additive manufacturing, aiming to produce better parts with fewer quality hiccups along the way. Machine learning allows for in-process detection of any areas of quality concern, enabling operators to ensure proper adjustment is made, limiting waste of time and materials. The ultimate goal is for a perfect score: 100 percent yield. Hitting this target would mean a perfect print, every time, with no wasted material and no failed prints. In manufacturing, this often remains a far-flung dream; with machine learning, a smarter system may bear witness to machines nearing the goal themselves, learning as they go. A digital twin comes into the picture as well, creating a simulated, predictive model. To understand more of the work with a new proprietary algorithm, I turned to Vinciquerra for more detail. What exactly is the idea of 100 percent yield in terms of additive manufacturing, I wanted to know, and what would this look like in a metal system? “The key to 100 percent yield is enabling the 3D metal machine itself to act as its own inspector,” he told me. The idea of the digital twin is one we are hearing about more frequently, as simulations such as those created using Dassault Systèmes technologies allow for a deeper look at the exact mechanics and structure of a given build. In-process comparison of the real-world build taking place with the digital twin can immediately show warnings of any deviations from the plan. Digital twins factor into the smart inspection process in a few ways, as Vinciquerra explained. “Part build data from the smart inspection process feeds into a digital twin, or digital model of the build itself. By continuously contrasting these data to our proprietary ‘gold standards,’ the digital twin is envisioned to recognize deviations early on that may signal physical abnormalities we would otherwise detect later in the manufacturing process by post-build inspection. Knowing earlier in the process that issues may arise allows us to compensate,” he said. As the metal 3D printing systems act as their own inspectors, industrial 3D printing can integrate machine learning to see improvements to production, including some level of automation. Additive manufacturing is increasingly seen to be scaling up and is being brought more deeply into end-use production processes. At the higher build rates necessary for production, the machines’ learning to supervise themselves and eventually automatically self-correct/compensate adds another layer of quality control. Additionally, these higher rates will now lead to more chances for the machine learning process to, well — learn about the process. “Like many other manufacturing processes, each part we build has its own pedigree; it’s its own story. If a factory full of machines are responsible for producing tens- to hundreds-of-thousands parts per year, each one of those parts represents an opportunity to learn something about the process, even if the parts are all the same. This is where machine learning comes in. Our desire is to capture those critical learnings writ large, and exploit the respective learnings to continuously improve the manufacturing process,” Vinciquerra explained. These opportunities to learn about the process add together to ultimately enhance the process. But how many builds does it take for AI to ‘learn’ enough about the process of additive manufacturing to make appreciable difference in in-process inspection? As the team and the machines both learn together, GE has started its work targeted at metal additive manufacturing systems from Concept Laser. Prior to jumping right into in-machine testing, the team has been taking a step-by-step approach to check out their new system. “Before testing on the machines themselves, the Additive Research team has built a custom test rig to test on that simulates how parts are built up in one of our Concept Laser machines. Once testing is completed on the rig, we will move to testing on the actual machines themselves, where the technology will be further validate,” Vinciquerra noted. To learn more about the team’s approach to machine learning in metal additive manufacturing, you can check out GE Reports. Will machine learning enhance metal additive manufacturing? 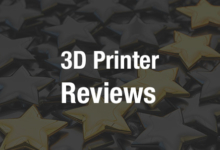 Join the discussion on this and other 3D printing topics at 3DPrintBoard.com, or share your thoughts in the Facebook comments below.